Its a place for living. Every individual lives differently, has different feelings, personal wishes and expectations. Let us show you kitchens with personality, every one of which can be planned to suit the individual and feature characteristic elements. Find the kitchen that goes with you and your life. Whether you are looking for Gloss and Ultra Gloss, Handleless, Matt Kitchens, shaker style kitchens SchÜller expertly cover all of these. With over 300 different designs to accommodate your tastes and budget. 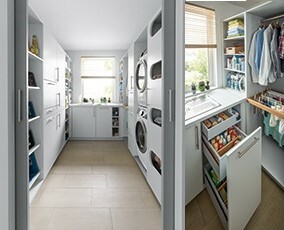 Practically they are superb, with sophisticated storage such as internal drawers, pull out larders, carousel and Le Mans units, pocket doors along with electrical storage such as motorised shelves, there is an endless amount of innovative ideas, SchÜller kitchens aren’t just a box with a door on. 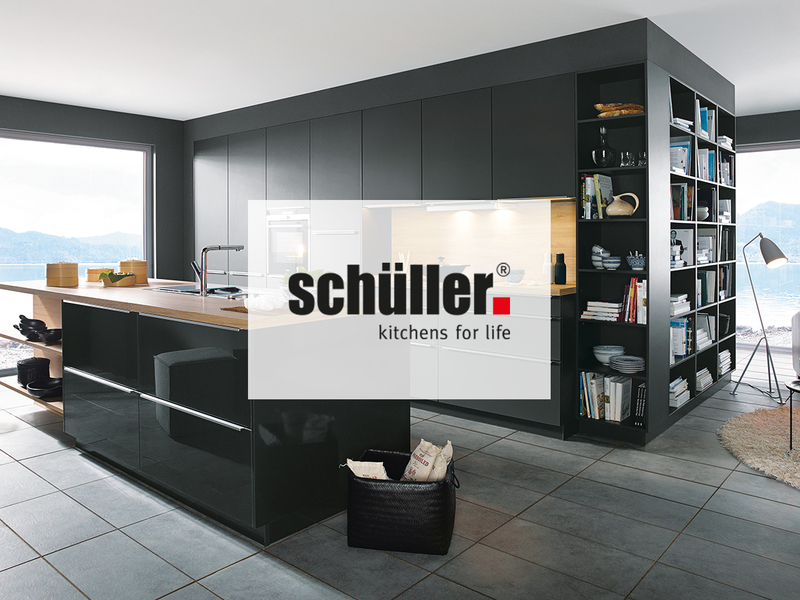 download the schÜller C brochure here! 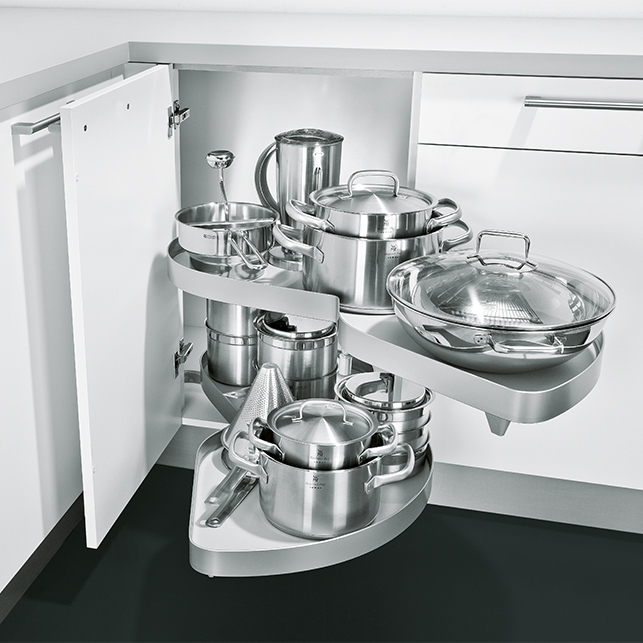 Schüller do a variety of different sized base and wall units. Tailored to the building the kitchen finds its home in and the individual using the kitchen. Whatever the height or size of the room ,or whether you’re tall or small. 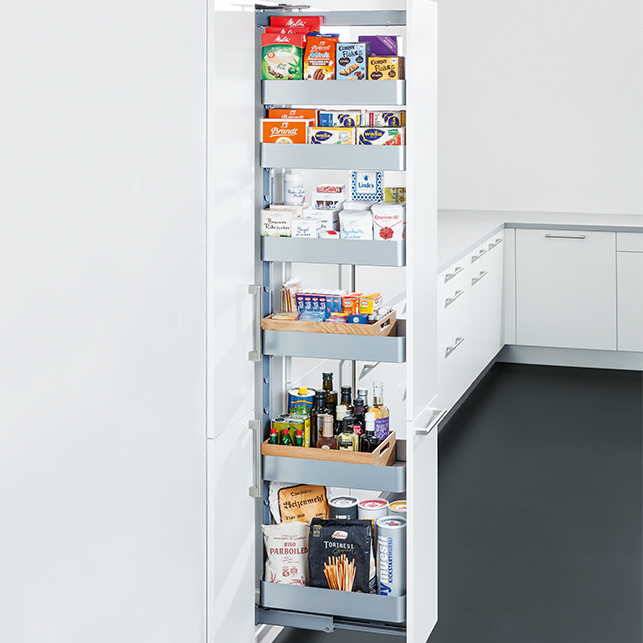 Schüller makes their products use-able to everyone. This is called ergonomics. 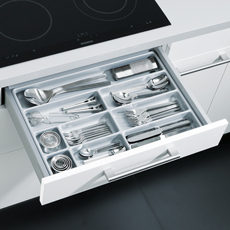 The front lends the kitchen an individual look − entirely according to your taste and to your needs. There are laminated fronts, lacquered surfaces, wood fronts and real glass fronts. Your choice of front gives your kitchen character, lends a touch of individuality. Choose which front suits you best. Elegant or natural? Extravagant, as well? Everything is possible with the fantastic selection of style, look and material! Available in countless options, thicknesses, edges, textures and decors, these worktops are exclusive, individual quality products. They are available in thicknesses 1,6 and 3,9 cm. Laminate is a proven material for easy-care, decorative worktops. Made up of several carefully matched layers, this material can be used for a whole variety of purposes. Different thicknesses, edges, textures and decors give every kitchen its own personal flair. 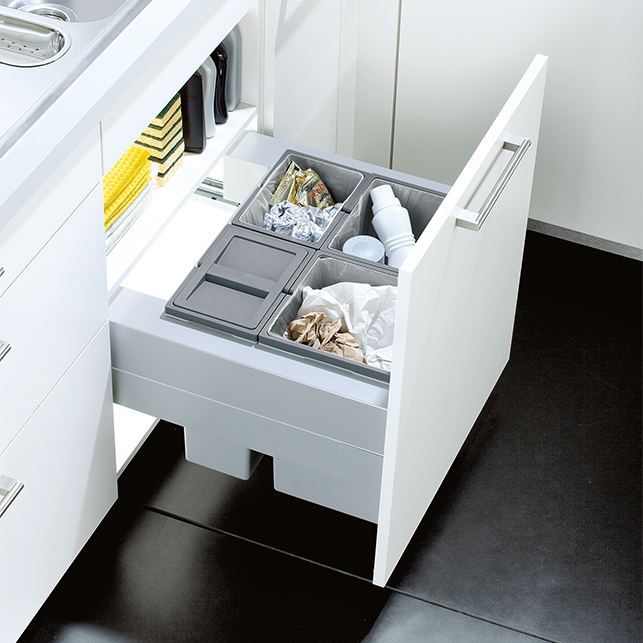 The simple tip-on system gives you a completely new free hand in designing your kitchen. Without handles the kitchen front steals the show. Deliberately configured reveals create a space defining, purist look. 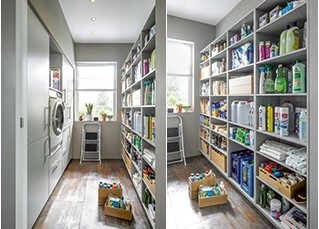 Today, living and utility spaces are often seen in isolation. 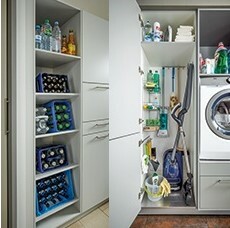 With living space becoming increasingly limited, there’s a need for ideal storage spaces and optimised work flows. 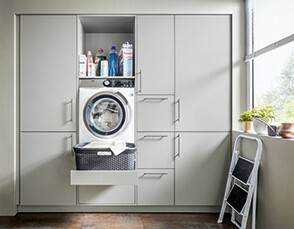 The Schüller utility room not only creates a room that’s pleasant to work in, it’s also tailored to suit any need. download the schÜller utility brochure here!